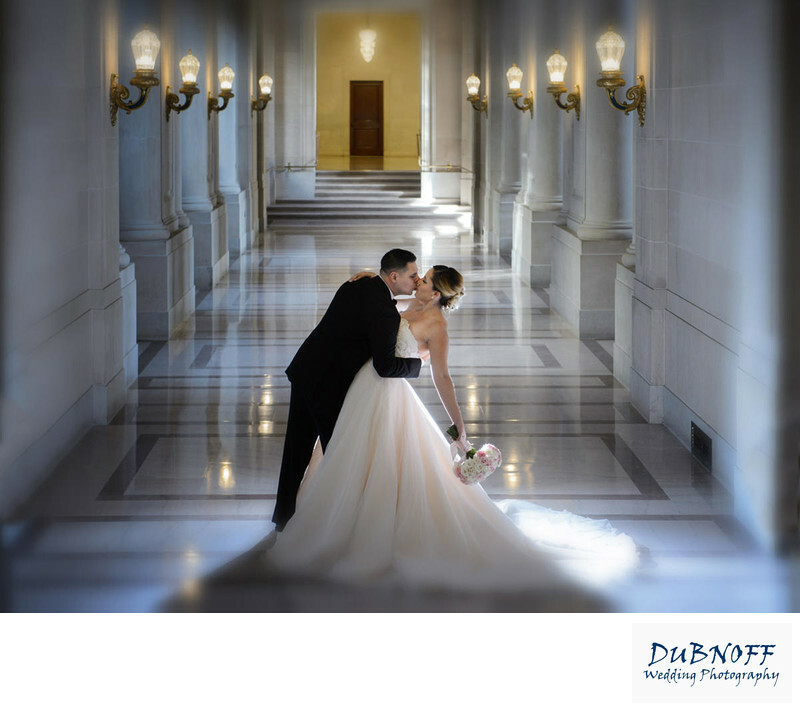 The City Hall Elopement package is our base package for full coverage San Francisco City Hall weddings. We suggest this package for couples who are eloping and don't have guests or family accompanying them. We provide you with 1 hour of coverage, including check-in, ceremony, and then the photo tour around the building. We can usually take you to at least 3 of city hall's 4 floors in this time period and we can decide which ones to focus on together. You may have guests with this package, but it could cut down slightly on the number of photos received of the bride and groom. We have discovered over time that San Francisco city hall weddings with invited guests take much longer to photograph. The reason for this is 2-fold. 1. You have the time it takes to take family photos after the ceremony and also pictures with your friends. 2. Undoubtedly, your family will want to congratulate you, advise you and help through out the day. We love and encourage this and are thrilled to capture it on film. However, it does take more time with these additional factors. Wedding Photography with ALL of the Images! As with every package, you receive ALL of the images we take at your city hall wedding with full reproduction rights. We also provide you with a very nice password secured photo viewing website. You can use this site to view the photos or to share them with friends and family. All clients have the option of receiving their full resolution jpeg files by either Dropbox or a shipped USB drive. We have recently added the option to directly download your images from your own secure viewing website. We also offer you the option to order a custom made professional city hall wedding album. The cost of the base album is $425 and you choose the photos and we do the design. You will have the opportunity to review the proof of your Photo Book to make sure you like the design we completed for you. As an added bonus, all 40 of yours selected images will include a second round of editing in Photoshop and will include removing distracting background objects and tourists or well wishers. 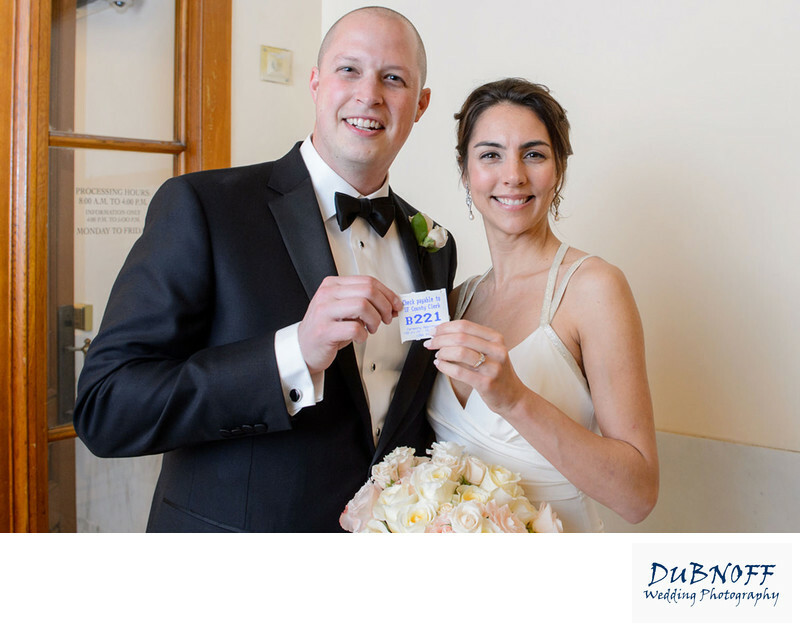 Couple displaying the ceremony number!